Two-year project to fundamentally review key information Commission collects and displays from charities. 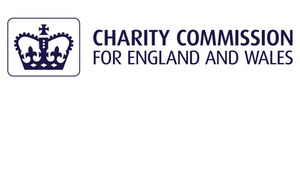 The Charity Commission, the independent regulator of charities in England and Wales, has today announced a consultation for next year’s annual return. This consultation is part of a two-year project to fundamentally review the key information that we collect and display from charities. The annual return is a key regulatory tool for the regulator that is used for two main purposes. It enables the Commission to collect information about charities that it can use to identify issues of concern, either in specific charities or areas of broader risk across the charity sector. It is the source of much of the information that is displayed on the Register of Charities – a key driver to allow the public and donors to find out more information about charities. This two year project will take a fundamental look at how we collect information using the Annual Return; whether we are collecting the right information for our regulatory work and will also explore other ways to keep the Charity Register up to date. The annual return is a vital tool that allows us to regulate effectively. Making sure that we collect the right information, in the right way is a key part of this. Over the next two years, we hope the annual return will change and improve significantly and this is the first step. Making sure that these changes are made in the right way for charities, as well as the Commission, is important and so we would encourage registered charities to respond. The consultation can be filled in using a simple online survey and runs until 9 March 2017.